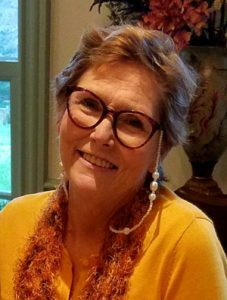 SOUTHERN SHORES — Etta Kealy Price, a dual resident of Southern Shores, NC, and Fairfax Station, VA died Wednesday April 3, 2019 at her home in Southern Shores, NC surrounded by family and friends. Born in Rocky Mount, NC and raised in Halifax and Dare Counties, Kealy was a graduate of Manteo High School and also went on to receive her Bachelor’s and Master’s degrees as well as being a North Carolina Real Estate Broker. She worked for several years as an analyst in Arlington, VA supporting the Defense Advanced Research Projects Agency, a research and development organization for the U. S. Department of Defense. She attended Truro Anglican Church in Fairfax, VA. Kealy will long be remembered for her kindness, humor, beautiful smile, and energy. She is survived by her mother, Joyce Councill Price of Nags Head, NC; son, Robert Wade Roderer of Greenwich, CT; former husband and long-time companion, Michael Alan Roderer of Southern Shores, NC; sister, Janey Price Nodeen (Tom) and nephew, Wade Hampton Price, IV of Fairfax Station, VA as well as many close and loving friends. Kealy was predeceased by her father, Wade Hampton Price, II and her brother, Wade Hampton Price, III. A memorial service and reception will be held on Sunday, April 14, 2019. Details regarding time and location will be announced at www.gallopfuneralservices.com when finalized. Memorial gifts may be made to the Cancer Outreach Fund C/O Interfaith Community Outreach (ICO) PO Box 1663 Kill Devil Hills, NC 27948. Express condolences to the family via the on-line register at www.gallopfuneralservices.com. Gallop Funeral Services, Inc. was entrusted with arrangements.